As opposed to before, the Swedish currency now has some defensive qualities and may therefore not fall in value and provide a cushion for the economy when the next slowdown arrives. This is what Carl Hammer, head of Macro, Foreign Exchange, Fixed Income and Commodities research at SEB writes in an op-ed article. One of the most common questions we receive from customers concerns the timing of when the next recession will take place in the world economy. 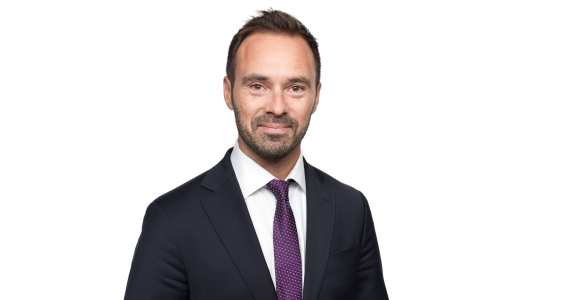 SEB expects that global growth will continue to be strong in the coming 12 months, but sooner or later a new recession will come, probably starting in the USA – which is the country that is leading the world economy. Sweden is a small, export-dependent country, but historically our exports have always had help from the Swedish krona, which has served as a cushion: falling order intake has been matched in part by a weaker krona, and companies have thus received a welcome boost to their competitiveness. For Swedish institutions as well, the currency's coupling to the economy is significant, since a considerable share of our savings are in assets outside of the country. But since 2012 this cushion no longer seems to be available: the Swedish krona is not traded as a pro-cyclical currency, i.e., a currency that is strong during a strong economy and weak during a weak economy. We believe the explanation lies both in structural factors coupled to our large national savings surplus and in factors related to monetary policy and negative interest rates. If this pattern continues, there are important conclusions to be drawn regarding Swedish companies' and institutions' currency exposures as well the diminishing opportunity for Riksbanken (the Central Bank of Sweden) to normalise Swedish interest rates. Following the crisis in the 1990s, Sweden became saddled with large amount of foreign debt as a result of a large current account deficit and Riksbanken's defence of the fixed exchange rate in 1992. This crisis led to a number of major reforms of the Swedish economy: the country's inflation target policy and the floating exchange rate were complemented with, among other things, a surplus target for public sector financial savings and eventually also a more sound wage scheme through an industrial agreement that aimed to keep our internal competitiveness and cost development in line with that of our key trading partners. The result, together with a weak Swedish krona, was that the Swedish economy soon showed large and stable trade balance surpluses, i.e., national savings surpluses. We have thereby been able to successively pay down our foreign debt, and today we estimate that Sweden instead has a net claim on foreign assets in the range of 30 per cent to 50 per cent of GDP. In contrast with what is reported in the news that we are heavily in debt, Sweden has a very strong national balance sheet. Our large surplus of foreign assets – above all, foreign direct investments and equities, is affecting the krona's trading pattern: if the risk appetite falls globally, the net flow of equity sales, for example, may be positive for the krona when Sweden sells larger amounts abroad (than the amount of Swedish equities sold by foreign actors), and capital is repatriated and exchanged for kronor. This gives the Swedish krona more defensive qualities, which was also manifested when the euro crisis intensified in 2012. Capital flows moved out of Europe and landed partly in Sweden, with the result that the krona strengthened significantly down to almost 8.00 against the euro. This strengthening of the krona contributed to a drop in our inflation rate, and Riksbanken responded with the introduction of negative interest rates in February 2015. The negative interest rates have had a clear and intentional impact on the Swedish krona's exchange rate: in contrast to previous experience, in a prevailing strong economy we have at the same time a very weak krona. In a couple of years it is reasonable to believe that we will be nearing a more distinct global economic slowdown. In such a situation the Fed may lower its interest rate at the same time that both the dollar and risk appetite are weakening. In such a situation, Riksbanken would already be at a historically low repo rate at the same time that the krona once again can be subject to appreciation pressure from softer monetary policies in the surrounding world and capital flows from our own strong balance sheet. Hence, it is highly likely that falling order intake for exports would not be combined with a significantly weaker krona this time, and companies should thus reconsider their currency hedging strategies. In contrast with previous experience, a falling US stock market may be combined with a weaker US dollar/stronger Swedish krona. Such a development would likely put Swedish pension companies' allocation and currency exposure models to the test. Finally, Riksbanken will not have very much scope to lower interest rates in a slowing global economy. This will be extra perceptible, since we will not be able to count on the same support of a weaker exchange rate (and thus higher inflation) as in previous recessions. The assumption about the krona's more defensive qualities may contribute to the low interest rate scenario being made permanent for a number of years going forward.